With its outdoor kitchen, Villa Lempi is an ideal holiday home for both families and groups of friends. This luxurious cottage, which was completed in June 2013, has a wheelchair-accessible ground floor and offers surroundings that satisfy even the most demanding holidaymaker. Villa Soukkio and Villa Lempi are almost identical and situated 200 metres from one another. They are neighbours, meaning that there are no other cottages between them, only forest. This means peace and privacy, but the forest path between the cottages makes it possible to travel between them quite easily if needed. The kitchen, dining area and living room of Villa Lempi comprise a single large and open space. This solution makes it possible to spend time together easily and comfortably during the holiday, even while cooking. The spacious yet intimate outdoor kitchen is also well suited for cooking and spending time together. The main cottage has four bedrooms, which can bed up to nine persons. The 120-cm wide sofa bed in the upstairs hallway beds two more. Three of the bedrooms are upstairs and the fourth, wheelchair-accessible, bedroom is on the ground floor. The cottage has three toilets one upstairs, a wheelchair-accessible toilet equipped with a shower on the ground floor and one toilet in the sauna building’s washroom. The underfloor heating on both floors brings added comfort. 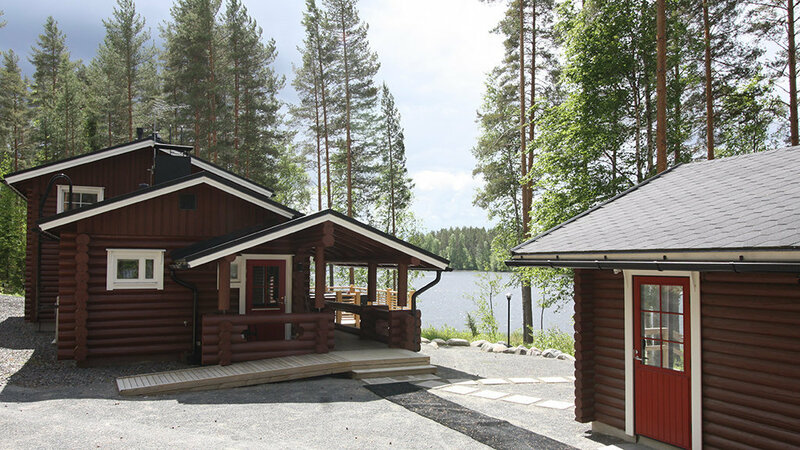 The wood sauna of Villa Lempi also meets the accessibility requirements. This also means that families with children have plenty of space for washing, and children can hold on to the support rails while showering. The garden is both wheelchair-accessible and well suited for children, sloping gently towards the beach. 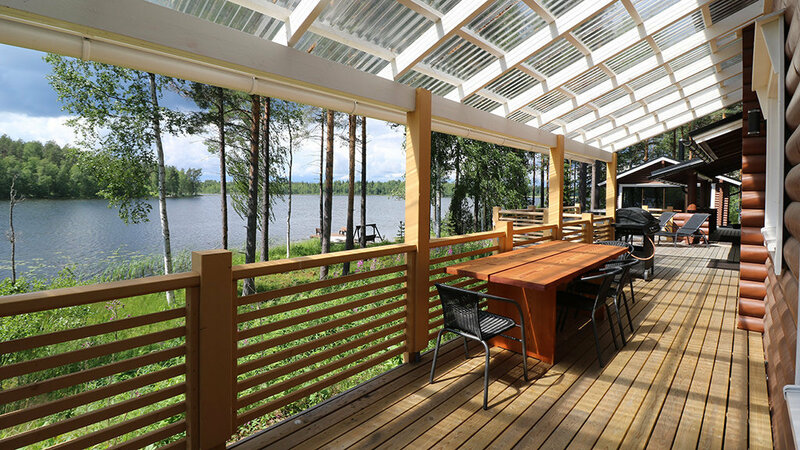 The distance from the sauna to the water is less than 20 metres. Villa Lempi “extends outdoors” with a 60-m2 terrace that covers the entire wall closest to the beach. On sunny days, the terrace enjoys sunlight from morning to evening, as the terrace gives to the southwest. Prices from: 1725 €/week and 804 €/weekend. The final cleaning is included in the rent. Sheets & towel set 18 € per person. Between middle of June and end of August, the minimum rental period is 4 days and the arrival day is any weekday. For offer of longer periods (over two weeks), please write to sales@rockandlake.com Midsummer period (wk 24 - 25) makes an exception. The red pin on the map demonstrates the location of your cottage. 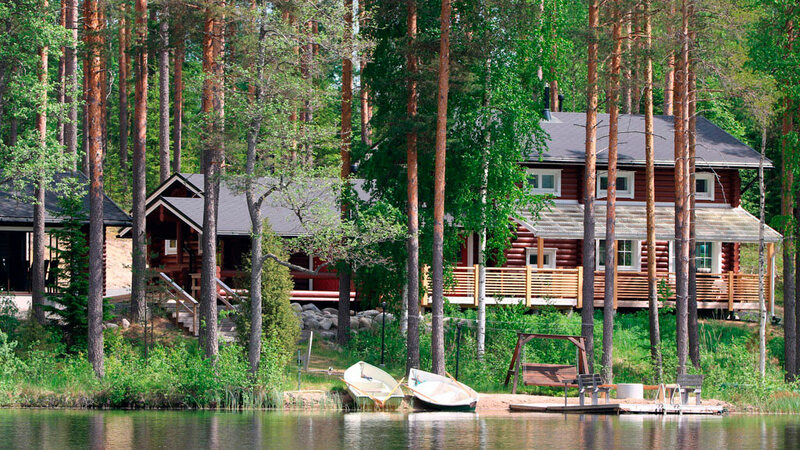 The yellow pin is the check-in place where you will meet the owner who will accompany you to the cottage. The driving instructions on the FAQ page lead you to the yellow pin.